It was a short honeymoon. 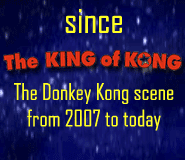 On December 31st, 2011, Dave McCrary became the fourth player to achieve an officially-verified score of over one million points on a Donkey Kong arcade machine, about two years after Hank Chien joined the club. It wouldn't take another two years to add the fifth. In fact, it was only a matter of weeks before Mark Kiehl busted through, followed quickly by Kyle Goewert, Shaun Boyd, and Ben Falls. McCrary is 41, married, a Louisiana native, and works as an electrical engineer at NASA. He was part of the "first wave" after The King of Kong to take up the game, and once lamented in a post on the Classic Arcade Gaming forums about how quickly Donkey Kong put a stranglehold on his free time, pushing the electric guitar aside as his number-one hobby. True to his musical allegiances, a Dave McCrary live-stream always goes up to 11. His soundtrack is a constant barrage of (mostly) 80s metal, from Motörhead to Manowar. It tends to keep everyone pumped. Dave took the slow-and-steady route to a million, and getting there was especially sweet after an excruciating 998,600 finish in April 2011 that hung over him for almost 9 months. Quickly joined by other competitors, he was and is nonetheless "happy to be the 4th 'official' 1 million point player." The first Kong Off was not easy on McCrary. He was unaccustomed to the tactile response on his machine's jump button, and adjusting to the live format was a difficulty that he found "hard to explain." "I tend to focus on surroundings while playing," he says. "So, it'll be a challenge to tune out the crowd that will be at the 1Up." 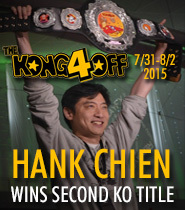 As for his opponents: "I learned from the first Kong Off that you can be humbled very quickly," he says. 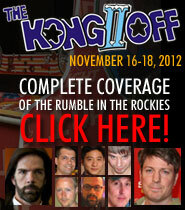 "I respect everyone's ability at the game, so I'll leave my chances as 1 out of 12 at the event." McCrary might be underselling himself. 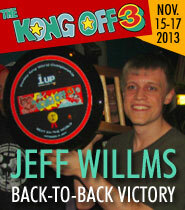 His personal best score came two months ago in a game that ended just five screens before the kill, and on pace to take second place on the Twin Galaxies leaderboard. The score was, he decided, too painful of a "might have been" to officially submit. 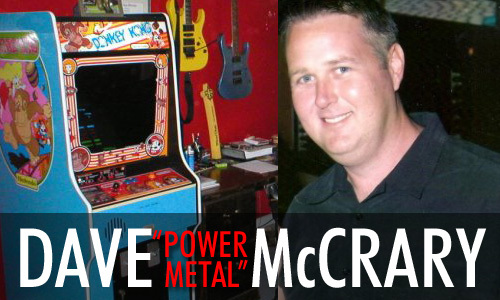 It's hard to discount a guy who was a hair away from beating Billy Mitchell and Steve Wiebe, but the distractions of the tournament will be a factor McCrary needs to confront and overcome. He implies, however, that the weekend will rock even if the chaos gets the best of his gameplay: "It'll be an awesome scene, you almost don't want to tune it out!"